Visual impairment (or vision impairment) is vision loss (of a person) to such a degree as to qualify as an additional support need through a significant limitation of visual capability resulting from either disease, trauma, or congenital or degenerative conditions that cannot be corrected by conventional means, such as refractive correction, medication, or surgery. [via Wikipedia]. Some browsers have been developed especially for people with such disabilities. Features include optical character recognition, screen magnifier, screen readers, voice recognition, speech synthesisers, etc. 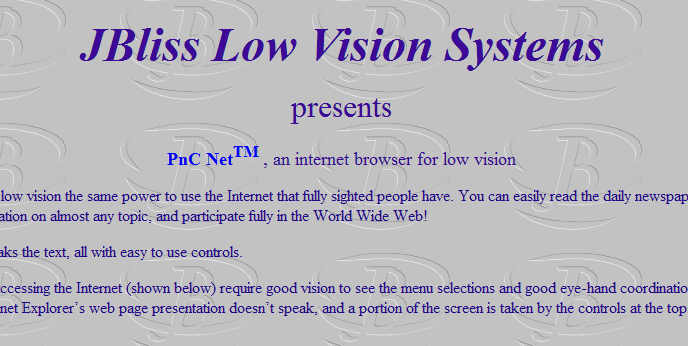 Below I mentioned top 10 web browsers for visually impaired users. P.S. Description of each site taken from respective sites. Credit goes to them! MozBraille is a browser but an extension to transform Mozilla or Firefox to a stand alone accessible Internet browser designed for blind or partially sighted users. So with mozBraille you don’t need a third part program like a screenreader. MozBraille offers its users three displays or outputs : A Braille output on a braille terminal, a text to speech output, and a big characters view. MozBraille is a part of the VICKIE project. The main goal of this project is to create an electronic school bag for visually impaired children. So the main output is the Braille and the less important is the text to speech because students have to listen their teacher. Note: MozBraille is a beta version, so there are lot of features to add. At the moment, blind or a partially sighted users can’t use this software alone. pwWebSpeak is an Internet browser designed for users who wish to access the Internet in a non-visual or combined auditory and visual way. This includes blind or partially sighted users, people with dyslexia or learning difficulties, and users who are learning new languages. pwWebSpeak is designed to interact directly with the information on a web page, and to translate it into speech, as well as providing a magnified visual display. The user may navigate through the structure of a document based on its contents: links, headings and paragraphs, rather than having to deal with scrolling and interpreting a complex screen lay-out. The basic format used on the Web is called HTML. The intelligence built into pwWebSpeak understands the HTML constructs and automatically presents them in a logical sequence, greatly simplifying navigation of even complex documents. Emacspeak is a speech interface that allows visually impaired users to interact independently and efficiently with the computer. Audio formatting –a technique pioneered by AsTeR– and full support for W3C’s Aural CSS (ACSS) allows Emacspeak to produce rich aural presentations of electronic information. By seamlessly blending all aspects of the Internet such as Web-surfing and messaging, Emacspeak speech-enables local and remote information via a consistent and well-integrated user interface. When combined with Linux running on low-cost PC hardware, Emacspeak/Linux provides a reliable, stable speech-friendly solution that opens up the Internet to visually impaired users around the world. eGuideDog project is to write free software for the blind. Currently, they focus on WebSpeech, Ekho TTS and WebAnywhere. eGuideDog Browser is a voice web browser designed for the blind. It focus on how to present HTML in speech rather than in text. It’s written in Perl and supports eSpeak TTS engine. 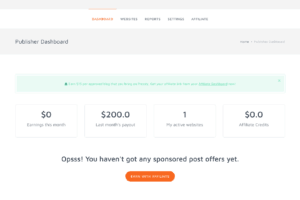 Some techniques such as re-constructing the HTML structure, summarizing the content and filtering Ads, etc will be used. Some accessibility problem is taken into account (see Accessibility for more detail). Simply Web 2000 is an speech friendly, speech enabled accessible web browser with advance features that allow easy navigation of complex pages by blind users. It uses Internet Explorer 4.01 or later as it’s engine. We recommend installing Explorer 5.0 for optimal performance and flexibility. The Simply Web 2000 package includes a software based speech synthesizer and can be used in standalone mode as a “Talking Web Browser”. It you already have a screen reader installed in your computer, then you can take advantage of the fact that it has been design to be speech friendly. Particularly, it is fully compatible with Simply Talker 98/2000, our inexpensive screen reader also with built-in software synthesis. 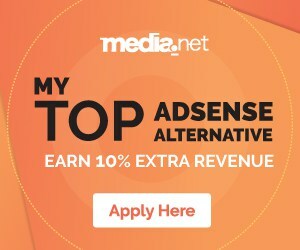 It comes with the Accessible programs, letting you access news and audio on the Internet in a simple and accessible way, allowing you to use podcasts, listen to the radio and read RSS and news with your screen reader or other access solution. Together they provide a way to access websites and other great things online – and they are all free! 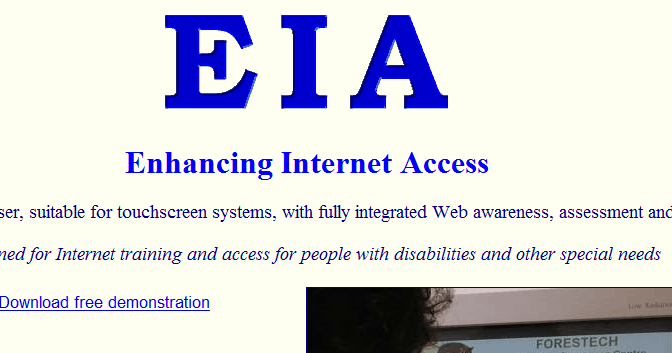 EIA (Enhancing Internet Access) – A specialized Web Browser, suitable for touchscreen systems, with fully integrated Web awareness, assessment and training modules. Designed for Internet training and access for people with disabilities and other special needs. 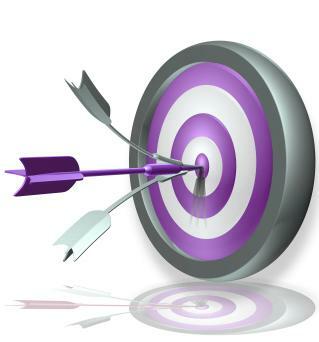 Provides interactive, stepwise learning of the skills needed for Web browsing. The interactive Web Tutorial is integrated into the EIA Web Browser and leads on naturally from the Awareness Assessment Protocol. It finishes with the option to connect to the World Wide Web. netECHO is a voice input and voice output web browser designed for use by individuals who are blind or have low vision. Using voice commands over a telephone line, the user gets access to a voice portal with customized information, such as stocks, news, horoscopes, restaurants, and directions. Starting from there, access to the entire Internet is provided. PnC Net is software that provides people with low vision the same power to use the Internet that fully sighted people have. You can easily read the daily newspaper, get up-to-minute stock quotes, make travel reservations, purchase goods, get information on almost any topic, and participate fully in the World Wide Web! For example, Internet Explorer® controls for accessing the Internet (shown below) require good vision to see the menu selections and good eye-hand coordination to position the pointer in 2-dimensions on specific spots and click the mouse button. Internet Explorer’s web page presentation doesn’t speak, and a portion of the screen is taken by the controls at the top, leaving only a part of the screen to display the web page. 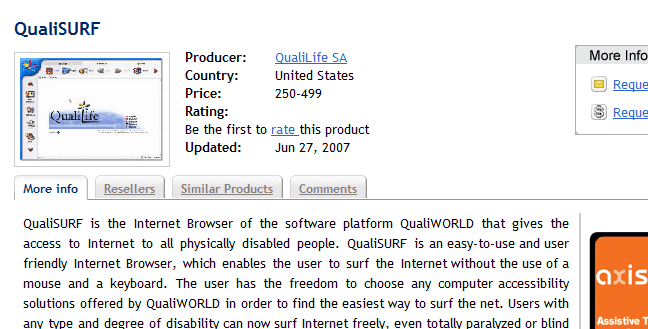 QualiSURF is the Internet Browser of the software platform QualiWORLD that gives the access to Internet to all physically disabled people. QualiSURF is an easy-to-use and user friendly Internet Browser, which enables the user to surf the Internet without the use of a mouse and a keyboard. The user has the freedom to choose any computer accessibility solutions offered by QualiWORLD in order to find the easiest way to surf the net. Users with any type and degree of disability can now surf Internet freely, even totally paralyzed or blind people. ReadText and ReadText Plus are voice output text reader and web browser program designed for use by individuals who are blind or have low vision or reading disabilities. It speaks digital files and web pages, including on-line books and PDF files. It can also magnify text and change the type face and color of the text. For people with dyslexia and other reading challenges, the program highlights and associates the visual and verbal word together for future recognition. ReadText comes with AT&T Natural Voices and one year of free updates. 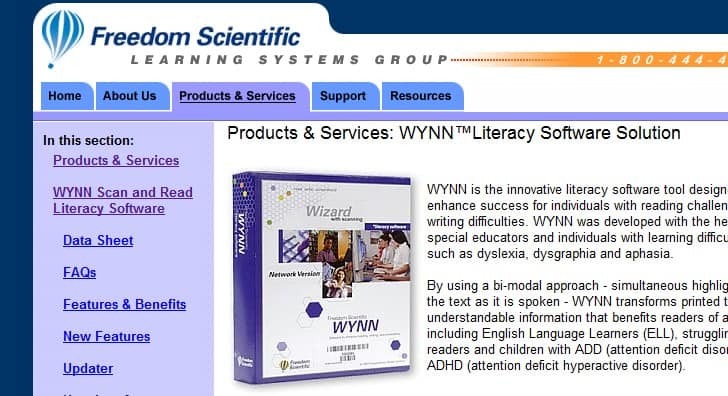 WYNN Wizard and WYNN Reader are voice output, web browser, and text editor programs intended to help individuals with learning disabilities to read, write, study, and comprehend text more effectively. 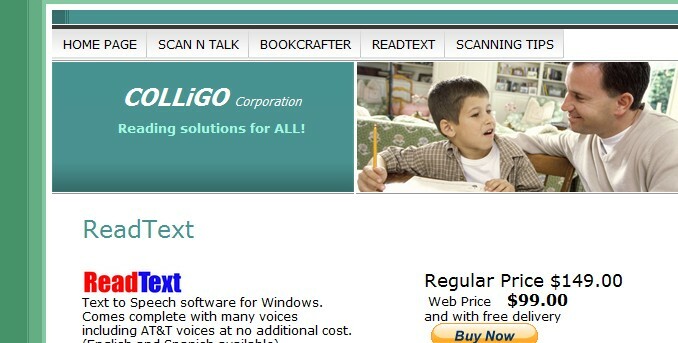 WYNN can read aloud ASCII text files, standard word processing files, digital talking books (DAISY and NIMAS), PDF files, web pages, and e-mail using RealSpeak Solo, which offers multiple voices and languages. Visually impaired people often find it difficult to use the web and these kind of special browsers are really helpful to them. If you are willing to contribute, share and tweet this article! Do you know any other special web browsers for Visually Impaired people? Please share them in the comments. so there are lot of features to add. At the moment, blind or a partially sighted users can’t use this software alone. This is super awesome share, i really had to idea of this web browsers. 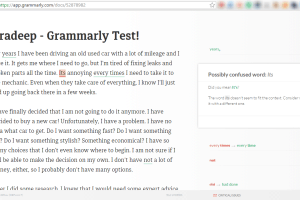 Amazing blog post, didn’t knew that posts could be so long and worthy too. The work done here is not called blogging but social service. Recommending this page for one my disabled friend for browsing. I think you deserve some kind of blogging award for this kind of posts.  Really a good cause and article written here. Pradeep, you have some special skill in picking up the topics whichpeople rarely think of. Great topic buddy, we need to promote such tools for visual impaired people. kudos to you brother..really done a great job with this list..hats off to you.. I happened across this because I am doing some research for a Lions Club project. Looks like a good starting point, but outdated. I guess I need to write up a more modern version on my Lions Club blog. I never thought about it. Thanks for share. Never knew that there were such browsers, you have done a fabulous work by sharing them. There is a work around to make Internet Explorer to be an narrator with natural voice. Install Panopreter toolbar for IE (http://www.panopreter.com/), and the toolbar will read text on the web page aloud, user can save the speech to mp3 file too. However to get a clear voice of Microsoft Anna, Windows 7 or Vista is recommended. Really impressive, nice idea buddy. Thanks for the list. You have done a good job in researching the tools. The thumb line image is very nice. This is a great post for visually impaired people, I think it is very useful for them. And you have done a nice work making such post. Kind regards. Thanks Pradeep for the list. First time hearing about this. Wow! These are really great aid to those who have sight problems. It is so nice that they thought of these. I just don’t get the brail browser, how will that work? Thanks for the list, I think they are a great tool, but also its proper operation depends on the way to develop web pages. You might have done a lot of research before getting this post up. Really cool list and also the thumbnail image is too good. good keep it going dude……. Thank you brother for such type of post. I have retweeted and facebooked the post. I think you have done a good research before posting this article. But how come you mind came about this kind of topic. Seriously interesting mate. I was searching for this post in HBB archives and atlast I found it!